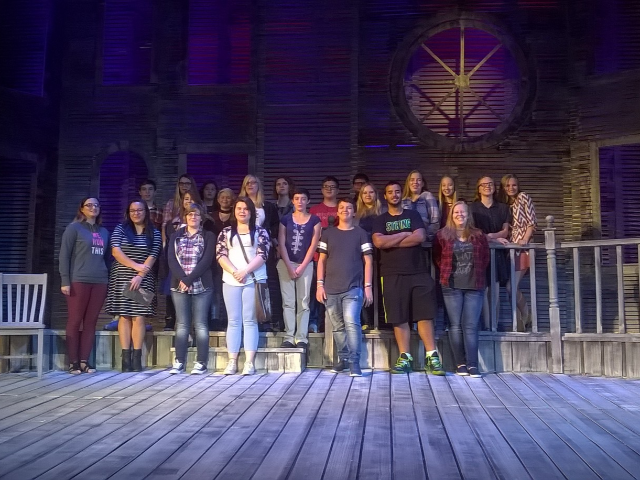 Drama Students from Skiatook High School attended a performance of the famous American play "Our Town" presented at Oral Roberts University on October 20. Drama students attending included: Lainey Aynes, Brooklyn Barton, Lanie Eller, Zach England, Trent Long, Sammy Roberson, Emily Roy, Cheyenne Shannon, Bianca Ashlock, Tristen Butts, Kirsten Cummings, Patrick Nipp, Brian Nubel, Morgan Nubel, Jewel Santini, Bethany Slatcher, Brandi LeClair, Lindsay Longest, Rebekah Massey, Brynleigh Miller, Nicholas Mitchell. Travel support was provided by the Nubel, Shannon, LeClair, and Miller families.